Home IT Procuring energy derived from biomass: Efficient or costly? 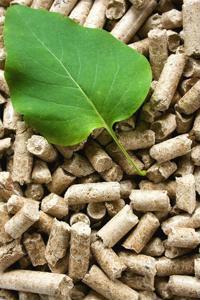 Procuring energy derived from biomass: Efficient or costly? Despite the fact that renewable energy reduces the world's carbon dioxide emissions, some experts have asserted it's detrimental to economic development. The procurement of green power may be viewed as admirable, but one can't deny that it also increases residential and commercial energy bills. The Economist noted Germany and Denmark as two examples of countries with significant renewable energy output and high costs to accompany it. In Britain, wind-generated electricity is twice as expensive than power derived from traditional sources. Governments and private organizations have encountered supply chain bottlenecks that prevent them from installing renewable assets in a timely manner. Plants are typically located in remote areas, making them expensive to connect to local or metropolitan grids. Although renewable generators are affordable to maintain, they're costly to construct. Power generation is sporadic. For example, wind turbines typically only spin about a third of the time. In contrast, biomass energy presents itself as a better alternative because plants can be set up closer to utilities, have a constant, renewable flow of materials to source and produce energy consistently. The Chillicothe Gazette's Tony Ferguson noted that, while biomass systems aren't necessarily "plug and play" devices and are paired with lengthy commissioning phases, the long-term benefits result in affordable electricity. Ferguson spoke with Chillicothe Medical Center Energy Manager Dale Allard, whose organization installed a biomass boiler with which he's quite happy. "The biomass boiler is clean and green with no smoke and no smell, and it's cheaper than natural gas," he told Ferguson. "I'm very satisfied. The system performs as promised and, in fact, exceeds my expectations." Small-scale systems aren't the only implementations in place. IndustryWeek noted the installment of the Atikokan Generating Station, a biomass power planet in Ontario that prides itself as being the largest of its kind in North America. The plant is intended to provide renewable peaking power, and will be utilized when electricity demands are especially high. It employs 70 full-time workers. Ontario Power Generation, which heralded the project, noted this adds to the company's renewable energy portfolio. Multiple contracts have been established with companies to supply the facility with enough wood chips to keep its boilers running. "A new era has dawned in Ontario," lauded Tom Mitchell, Ontario Power Generation's CEO.